At Stuff, like many other development teams, we're currently moving our development efforts towards creating microservices. One of the considerations in moving to microservices is the need to provide data to your microservices via APIs, in order that they can be properly decoupled from the monolith. How do we surface our REST APIs such that our microservices can make the most efficient use of the network when retrieving data? How do we surface our REST APIs such that our microservices can get only the data that they really need? How do we reduce the complexity of our microservices in terms of having to request and unpack data from different endpoints? To unwrap these questions a little bit, let's consider some of the issues with REST API's — though REST has been a very useful pattern, REST APIs have a tendency towards inefficiency in a number of respects, including under-serving and over-serving. Apart from the observation that this is a particularly badly implemented REST API, you'll observe that in order to determine the full details for Jason's pets we had to do four REST calls — this is under-serving, whereby a given REST call returns insufficient data for the client's purposes, and therefore we need to do multiple calls. This is of course time-consuming, and tedious for the client developer, as she must write the logic to handle the various REST calls, chaining them together in series. In this example the redundant data is not too consequential, but there are plenty of examples of real-world APIs where the actual data desired by your application is only a very small fraction of that returned by the REST API request. 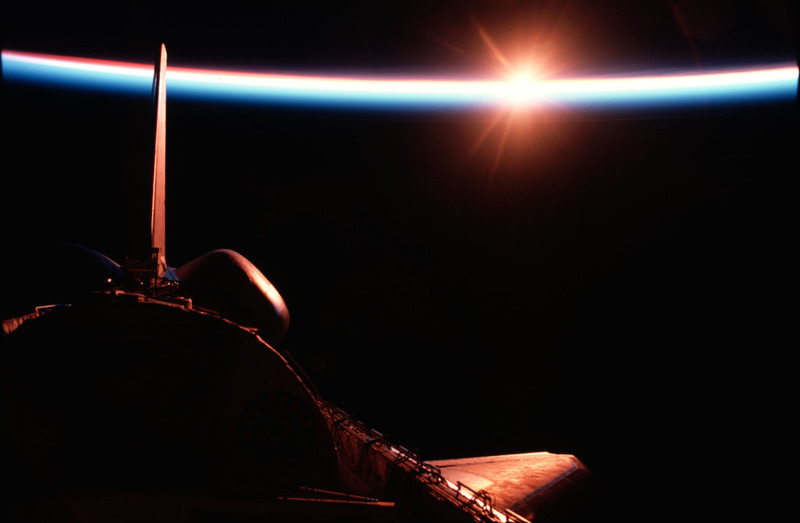 In order to address these concerns, we've recently been exploring GraphQL, an initiative by Facebook that provides a means of building APIs that address the concerns described above, and that can be used to wrap existing REST APIs. GraphQL is a specification, which straight away gives it an advantage over REST, which is simply a rather loose architectural pattern. Although we have REST implementations that use technologies such as Swagger to describe the REST API declaratively, often we cannot combine or consume REST APIs without manual intervention. “GraphQL is a query language for your API, and a server-side runtime for executing queries by using a type system you define for your data. GraphQL isn't tied to any specific database or storage engine and is instead backed by your existing code and data. “GraphQL is a data query language and runtime designed and used at Facebook to request and deliver data to mobile and web apps since 2012. Referring back to our examples above, we could look instead to perform a single API query to retrieve the last_vet_visit data for pets for a given user. However, it's probably a much better thing that these various REST API calls are happening serverside, where network throughput and CPU is typically much better than on the client. There's a lot more than can be and is said about GraphQL, and how it can be useful in wrapping REST APIs — in order to keep this post relatively brief, I'll simply offer some links here, and presume that you've read them before we continue below, as others are better than me at describing the finer points of GraphQL itself. When considering how to deploy a GraphQL-based API server, we need to determine how best to expose it. For our purposes, we're able to avoid some of these issues for the time being if we look at having our React components only rendered serverside. We currently don't have many use cases for components that need to refresh and update their data in response to UI changes; this may change as we move forward, but for the time being keeping our component rendering serverside means that we don't need to expose our GraphQL server to the world (i.e. HTTP requests from browser clients), and therefore we have much more control over how the API it exposes is used. In the diagram above, the lefthand side shows backend rendering, whereby we create our frontend components serverside, and then serve them to the page as fully-formed HTML via Edge Side Includes. In this scenario, the browser has no knowledge of, nor access to either our React component server or our GraphQL API server. 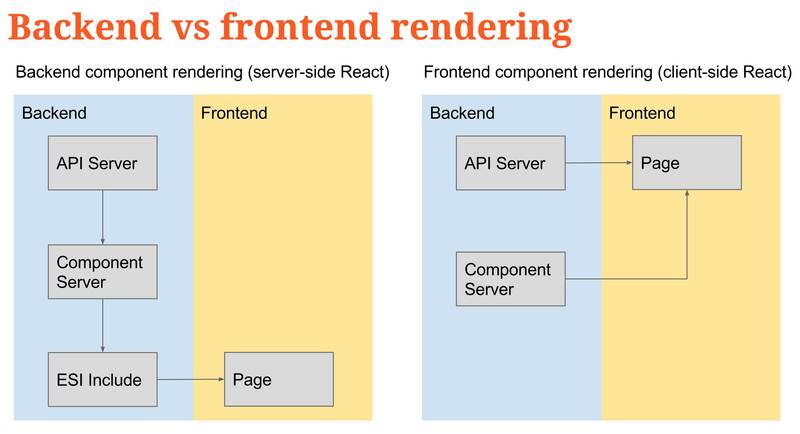 However, if we consider frontend rendering (the righthand part of the above diagram), our browser (and any other nefarious agent on the web) has some knowledge of, and access to, both our React component server and our API server. We'll discuss other considerations around GraphQL in upcoming posts, but hopefully this post has provided some idea of the benefits of using GraphQL as a backend server API to wrap various REST APIs.